I am going to review this Aroma Leaf Dermaglow Shiner Lotion Bleach. This is my first product from this brand. 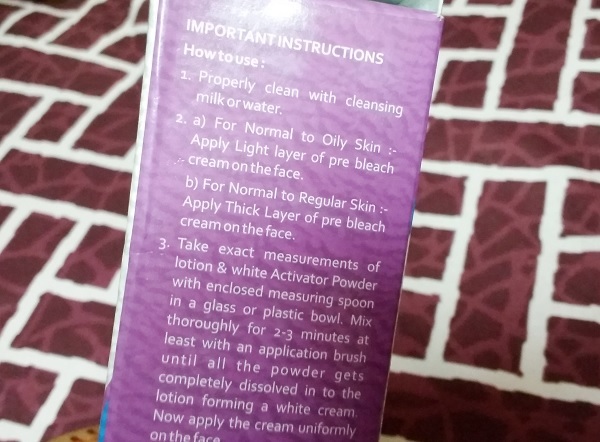 The product is actually is a skin bleach which is in a lotion form that will lighten the dark spots and skin blemishes and makes the skin brighter. Tanning, Dull and flawed skin has become the talk of every young divas. Excess exposure to harmful UVA/UVB sun rays, dusting and pollution takes away the skin charm and glow. To cure such skin hacks, Aroma Leaf, the leading manufacturer of beauty products has introduced new and effective solution to retain the skin glow longer. 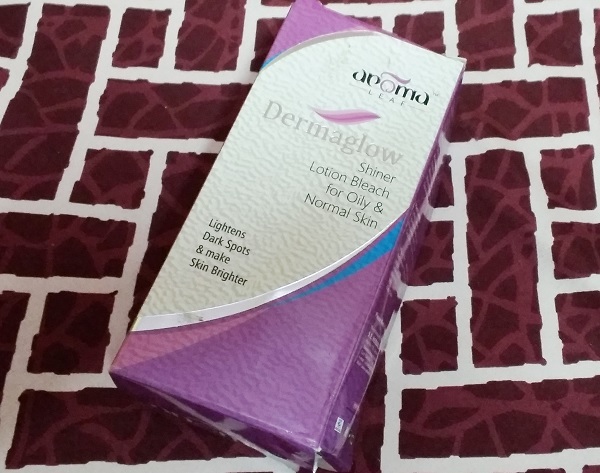 Aroma Leaf has instigated Dermaglow Shiner Lotion Bleach which lightens the dark spots while making skin brighter. Added with skin whitening agents as active ingredients, the bleach deeply penetrates into the skin and procures the real glow while improving the skin tone. Aroma Leaf Dermaglow Shiner Lotion Bleach comes with Pre-Bleach Cream which soothes the skin and makes it more applicable to penetrate the benefit of Bleach Lotion. Aroma Leaf Dermaglow Shiner Lotion Bleach is available in a jar of 200 ml along with a Pre-Bleach Cream and Powder Activator of 20 and 50 gm respectively. The product is priced at Rs. 300/- only and are available at all leading cosmetic outlet across the country. The bleach is not the regular cream based bleach where you have this cream and activator but this has a bottle of lotion which has to be mixed with the powder activator. This is suitable for oily skin. This also comes with a pre-bleach cream which makes sure that the bleach works and gives the maximum results. To use this, I will take a scoop of this bleaching lotion and mix that with 2-3 pinches of the powder activator. Then I will let them get dissolve. To dissolve the activator powder completely, I will mix or stir it for 1-2 minutes. Then I apply this on the face. This should be kept for 10-15 minutes. I keep this for 15 minutes, then I will wipe the face and then wash it. We should not wash the face with soap or a cleanser for the next 5 hours at least. This will ensure a long lasting bleaching effects.